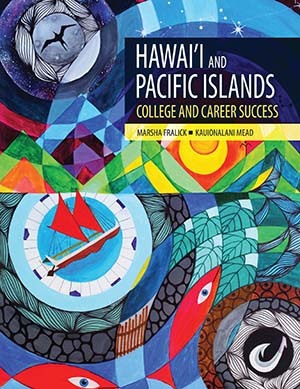 We are happy to announce the first edition of Hawai'i and Pacific Island College and Career Success. This textbook includes a Native Hawaiian and Pacific Island cultural perspective. It is based on the premise that students are more successful when they take pride in their culture. 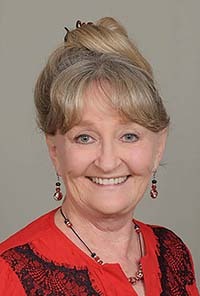 While the textbook is designed for Native students, all student who live in Hawaii and the Pacific Islands can benefit from increasing knowledge and appreciation of the culture of the people where they live. A new interactive online edition is now available. We are also happy to announce that Nicole Arielle Maka’āhina’ālohilohi Jack was selected as the artist for the textbook cover. 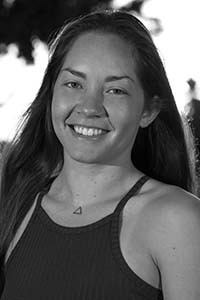 She was born and raised in Kapahulu on the island of O’ahu and will graduate from the University of Hawai’i at Mānoa with a degree in Pacific Islands Studies in 2017. She states that the cover art for this publication aims to highlight just a few of the many accomplishments of indigenous Pacific peoples. In recognition of their skills in long distance voyaging and celestial navigation, the Hōkūle’a is featured, sailing within the 32-point star compass that Nainoa Thompson adapted from the Satawalese version taught to him by Mau Piailug. Navigational aids like star constellations, birds, the moon, the sun, winds, and ocean currents are included, as Oceanic navigators cleverly devised how to utilize them for open ocean sailing. Island people skillfully developed sophisticated agriculture and aquaculture techniques like terraced kalo farming and fishpond wall construction, which enabled them to provide stable food sources for a thriving population. Petroglyph designs symbolize people joined together, exemplifying the customs of laulima and of working as a community—integral values for living on geographically small islands with finite resources. Shown too is the abundance of healthy natural environments like forested mountains and plentiful waterways, which were the product of Pacific Islanders’ successes in applied sustainable living practices. Moving into the future, we can glean from the Indigenous people of the Pacific the importance of staying ancestrally rooted in the foundations of the past, but also remaining ever adaptive and flexible to changes that will invariably come with the contemporary age. Contact Carla Lundman of HumanEsources at carlal@humanesources.com to set up the account for your college and coordinate with your bookstore. If you are considering this text for possible adoption in your course and would like a complimentary printed copy of new 8th Edition, I can expedite a copy from the publisher. 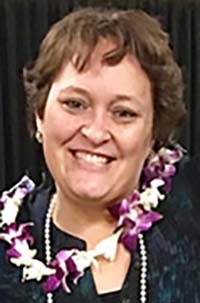 If you are considering adoption of the interactive online version of Hawai'i and Pacific Islands College and Career Success, contact Carla Lundman of HumanEsources at carlal@humanesources.com . She can email you instructions for an online demo. She can also arrange a Go to Meeting to show the online text to your department. Here is a brief video introducing the online version. Contact Carla Lundman of HumanEsources at carlal@humanesources.com to set up your account and coordinate with your bookstorse. teachings can be used for success in college, careers, and in life. are in an online portfolio with links to career information and current employment opportunities. Note that this textbook is a revised edition of College and Career Success, Concise 7th Edition. Appreciating Island Cultures: The Story of the Kahuli Shells and discussion questions. that lead to success, and the value of persistence. Appreciating Island Cultures: 'Opae E and discussion questions. career outlook; and finding your passion. The Do What You Are and MI Advantage career assessments are included. Appreciating Island Cultures: Tattoos and discussion questions. time, schedules, time management techniques, dealing with procrastination, and money management. Appreciating Island Cultures: The Sirena and discussion questions. and other memory tricks, and optimizing brain power. e-learning strategies; and math success. Appreciating Island Cultures: Tiare Apetahi and discussion questions. taking efficiency, reviewing your notes, power writing, and basics of public speaking. for taking tests, and how to prepare for tests. Appreciating Island Cultures: How Maui Slowed the Sun (Maori) and discussion questions. successful beliefs, and secrets to happiness. Appreciating Island Cultures: Maui and His Magic Fish Hook and discussion questions. The Instructor Manual contains over 500 pages of interactive exercises, classroom handouts, and techniques for engaging students in learning. Here is a sample of the Instructor Manual for Chapter 2: Understanding Motivation. The Test Bank includes a bank of questions for each chapter as well as mid-term and final exams. The PowerPoint Library contains a slide for every topic in the textbook. Select slides that match your student learning outcomes. Here is a sample of the PowerPoint presentation for Chapter 2, Understanding Motivation. Note that a user name and password are required to access the full Instructor Manual, Test Bank, and PowerPoint library. Login information is provided for faculty who have ordered textbooks for their students. If you have ordered textbooks for your students, contact me at marsha@marshafralick.com for the login information. future. For Hawaiian and Pacific Island Students, positive self-concept includes pride in their cultural background. and how important they are to the communities of Hawai'i and the Pacific Islands.